The Frye Family Band marked their first #1 Song as Creation’s Song moved to the top of the charts. “Inspiring, encouraging, entertaining” – these are just a few words frequently used to describe the Frye Family Band. From their tight harmonies and light-hearted toe-tapping songs, to those which will stir your soul, the Frye Family Band shares their music and message with admirable transparency and relentless hope. Partner with the Frye Family Band as they prepare to record their next CD. How did the Frye Family Band get started? Tom Frye is a consummate musician and song writer with a passion for God. We were greatly blessed to have Tom and the family play at East Heights United Methodist Church. Tom and his family were an amazing blessing at our recent Praise Celebration at our radio station. Their music ministry reaches all ages. Tom’s ministry is very special and I know any and all will be blessed as they meet and listen to Tom and his family. 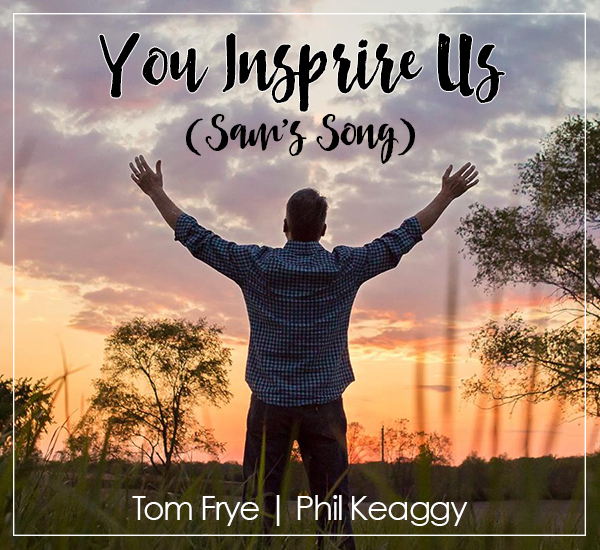 Tom Frye and his family have a gift of love, family and values that shines through theirmusic, shines on stage in concerts and shines into your heart. The gifts of love and faith returned in praise through the Fryes, stirs our hearts and helps us praise and when we hear their music it sounds like “us”. It sounds like home. A home blessed by God. They are blessed by God and through them God blesses us as well. RT @timkellernyc: Worry is not believing God will get it right, and bitterness is believing God got it wrong. Cheering for the Pacers and Preds tonight. What a fun date night with Lisa Frye seeing Chonda Pierce in her - and now our - hometown! Did you now 30% of our health is determined by genetics and 70% is determined by our choices good or bad? Ready to make a change? Happy National Sibling Day to my Rock Star is a sister, Amy Sprunger Thanks for always being there through thick and thin. Love ya! © 2017 Frye Family Band. Site by TMA.